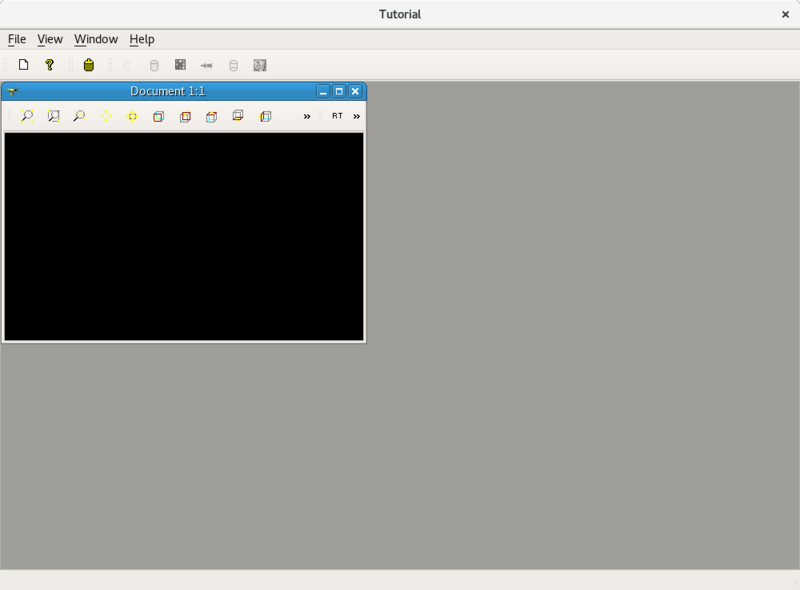 The Tutorial starts and displays its main window. And does respond to mouse clicks on menu items. Only textual substitutes appear e.g. MNU_FILE, MNU_VIEW, etc. Problem #2: Actioning a Tutorial menu item generates error messages in the console window from which the Tutorial was launched. Suggestions / comments welcome !! I have made some progress in diagnosing this problem. In source code file samples/qt/Tutorial/src/Main.cxx there are four (4) calls to member function load(...) in instances of Qt class QTranslator. 2. does not stop execution of the program. I have introduced diagnostic reporting for these four(4) calls to load(...), revealing that in fact the load(..) calls are all failing. Here is the modified first call to the load(...) member function. 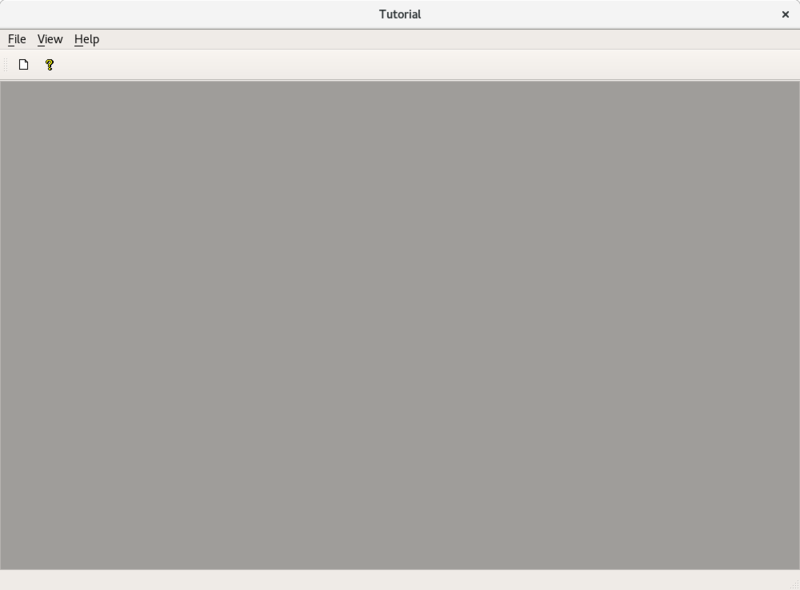 I have tried many different values for the parameters of the call to load(...), but nothing seems to work. Since the load(...) member function returns only a boolean result, no details are available indicating the cause of the failure. Next, I am going to examine the source code of the load(...) function to try to determine the cause of the load failures. Meanwhile, any comments / suggestions from Forum members would be greatly appreciated !! I have made more progress in diagnosing problems with building and running the Open CASCADE 7.3.0 Qt Tutorial (samples/qt/) on Linux Debian 9. 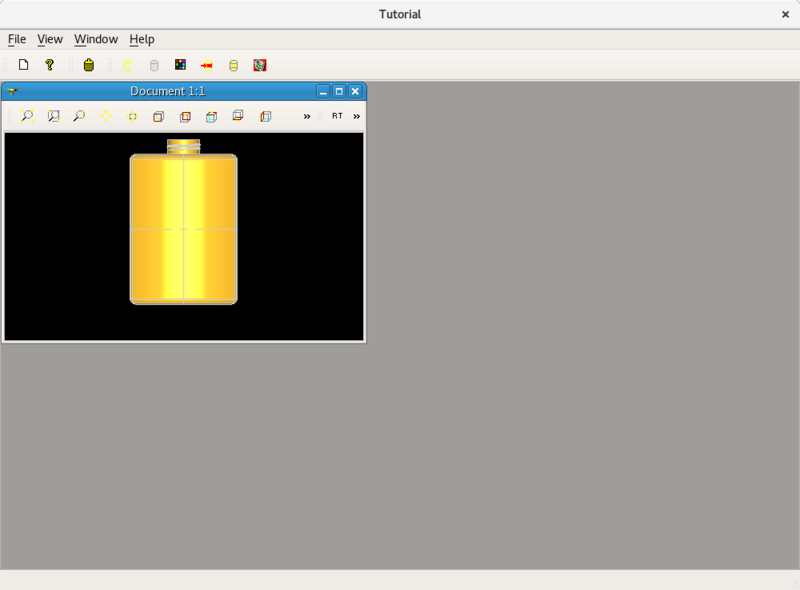 The Qt Tutorial GUI now displays icon graphics, instead of the upper-case textual substitutions, that were previously-appearing. 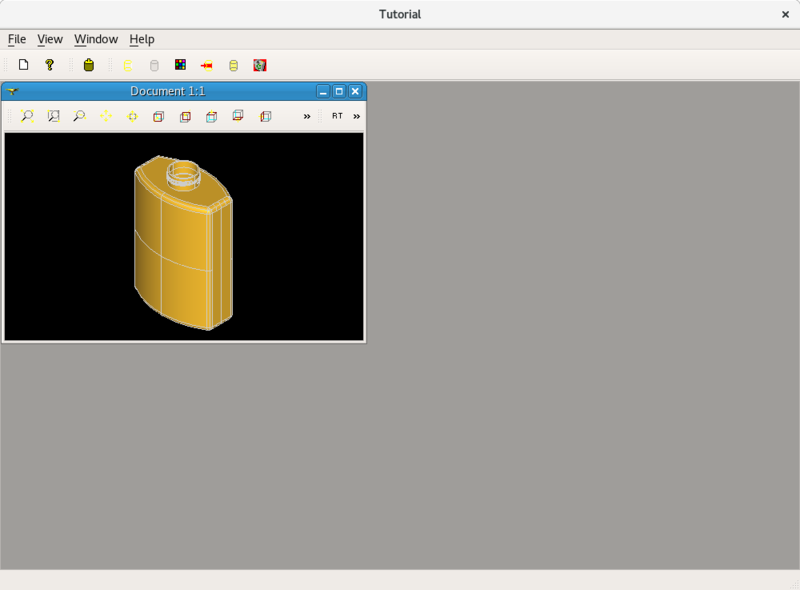 The MakeBottle button now works, displaying the bottle in 3D in the "Document 1:1" window. 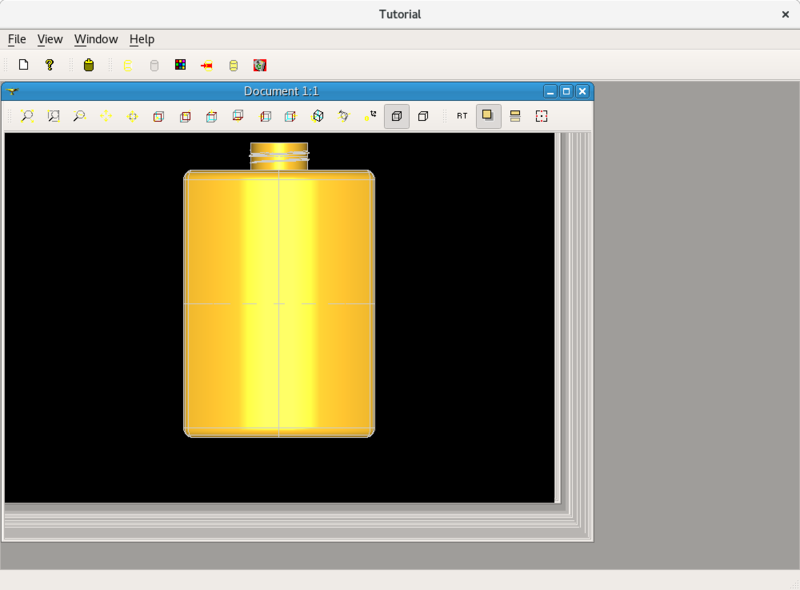 Various views of the bottle are available by clicking buttons. These error messages appear in the shell console window, when the New button is clicked on the main window menu. The "libpng warning: bKGD: invalid index" message: is a known minor problem. 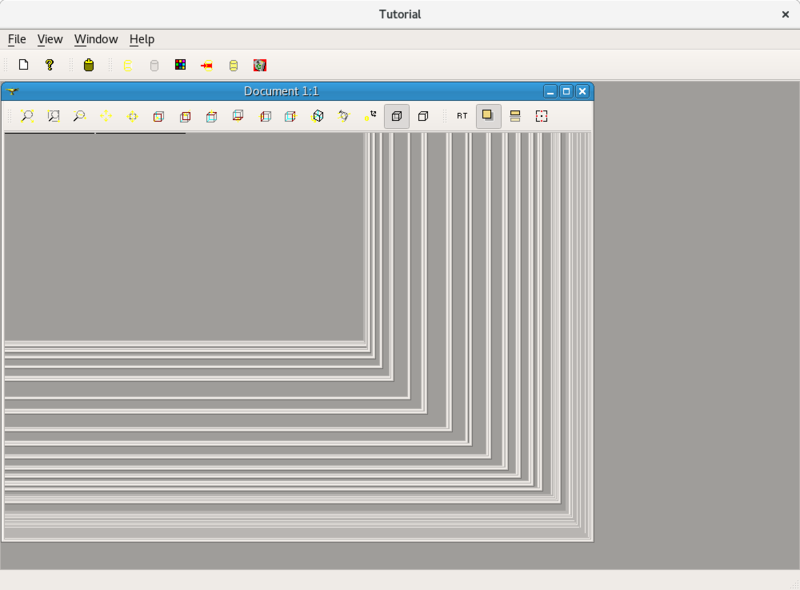 a broken icon file (view_pan.png). The generic substitution icon is sufficient for now. The "OpenGl_Window::CreateWindow: window Visual is incomplete: no depth buffer, no stencil buffer" message: is indicating some failure in the functionality of OpenGL rendering. 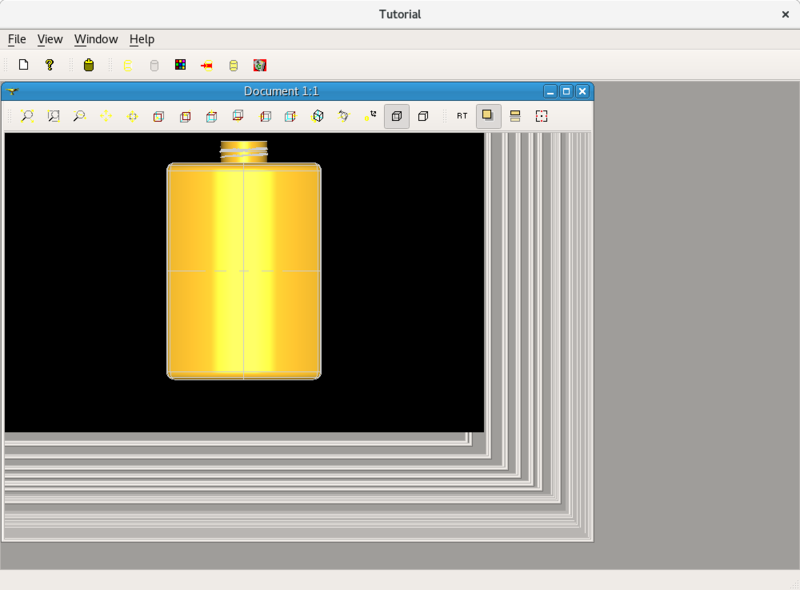 And there is indeed a rendering failure, when the window displaying the perfectly-rendered initial view of the bottle, is resized by e.g. dragging out the lower right corner of the "Document 1:1" window. 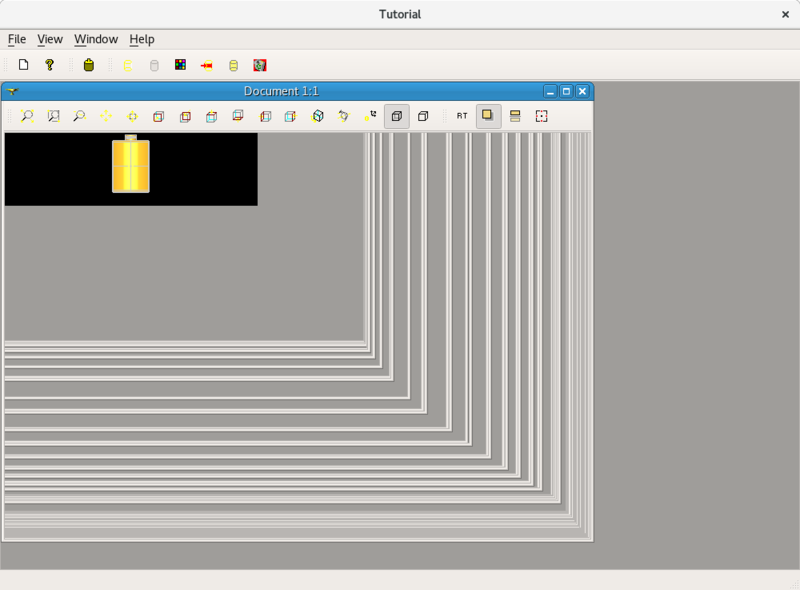 Even while the mouse drag is in progress, and after the drag button is released, a corrupted rendering starts to appear in the lower right corner of the window, and in a few seconds, has progressed to the window's top left corner. eventually completely replacing the image of the bottle with garbage. **HOWEVER** in the occurences of macro variable HAVE_EGL found by grep, all are in conditional tests of various forms, and **NONE** are defining the variable itself. root@debian1:/home/steve/apps/OpenCASCADE-7.3.0/_download/opencascade-7.3.0# grep -Fnr --include=inc/* --include=src/* --include=*.h --include=*.c?? --color "HAVE_EGL" . So, one (1) task, is to resolve the mystery of: where does macro variable HAVE_EGL (and HAVE_GLES2) get defined ?? Suggestions / comments / questions welcome ! !